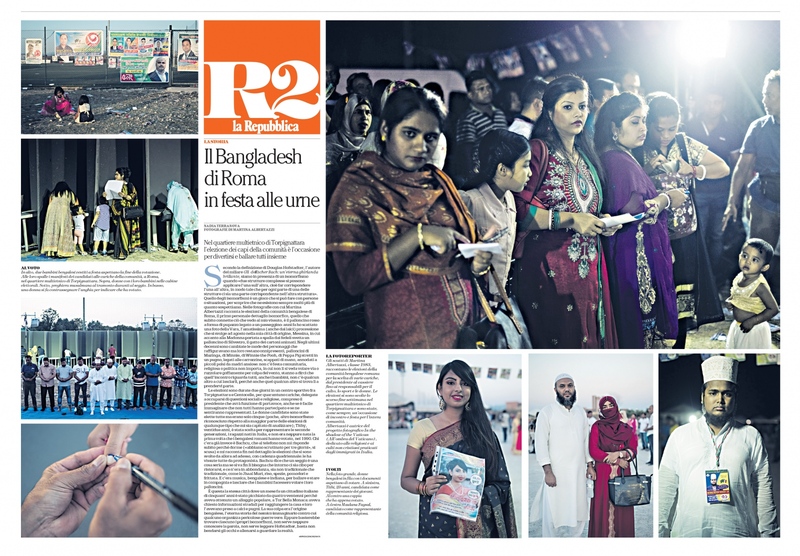 The Bangladeshi community of Rome gathered in the southeastern neighborhood of Torpignattara last weekend to vote for new representatives. The winning candidates will work together on social, cultural and religious issues. Also the president elected will be a spokesperson for rest of the community. While this election won't have any legal value within the official administration of Rome, it still represents a big event for a community that has grown remarkably in the past decades and has its own social structure. Rome has become home for about thirty thousand Bangladeshi, the third biggest community after Romanians and Filipinos. My images of the even were published on the italian newspaper la Repubblica.